Greetings to all readers in the most precious name of our Lord and Savior Jesus Christ. Here in this verse, we can see three persons : God the Father, the Son Jesus Christ, and the Holy Spirit. Most of us know God the Father and the Son Jesus Christ as Divine Persons but fail to understand the personality of Holy Spirit. 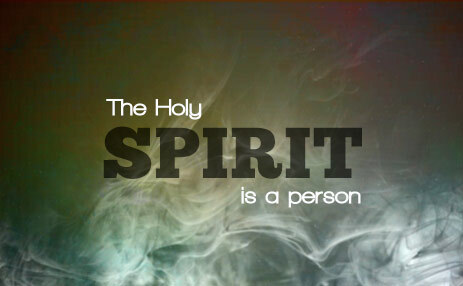 For most of us, Holy Spirit is just a power that illuminates strength but more than that, He is a person. If we understand His personality, then we will know his power and His work. He is not just a power. We must give equal respect and honor to Him as we give to our heavenly Father and Son Jesus, We must praise and thank Him as we thank and praise the Father and Son Jesus. I want to cover myself under His grace and Power to glean the personality of my author – The Holy Spirit. Jesus, at the end of his ministry in the world, called the disciples and said, “let not your heart be troubled and I pray the Father and He will give you another Helper that He may abide with you forever.” So the Holy Spirit is given that He may abide with you forever. In other words, Jesus was telling that it is profitable for Him to go so that another Divine Person will come to abide with us forever. The Spirit of Truth abiding in us is more profitable than Jesus being with us in flesh. The second reason , John 14:26,” But the Helper, the Holy Spirit , whom the Father will send in My name, He will teach you all things and bring to your remembrance all things that I said to you.” Holy Spirit is given to teach us and bring unto remembrance of all the commandments of Jesus Christ. When we study about Holy Spirit, we must understand His Power Personality. If you’re ignorant of these two things, then you have messed up the concept. Don’t just know the power of Holy Spirit but know His personality, which is more important. We believers know His power and sometimes think that He is just a power! Let us see what the bible says. Apostle Paul, while addressing the church of Corinth in his epistle, asked them “Do you not know that you are the Temple of God, and that the Spirit of God is dwelling in you?” The problem with this church was that they knew the Spirit when they were gathered but failed to understand the Spirit when they were alone. Most of us think that Holy Spirit descends only when they are gathered and sings hymns. They don’t know that He is there even when they are at home, office, etc…Spirit of God dwells in us. Mark what Jesus said in John 14:17” …He will dwell in you.” So Holy Spirit doesn’t come at the end of hymns, but He is there within us always. 1 Corinthians 2:10, 11 ‘but God has revealed it to us by his Spirit. The Spirit searches all things, even the deep things of God. For who among men knows the thoughts of a man except the man’s spirit within him? In the same way no one knows the thoughts of God except the Spirit of God.’ See, it is clearly mentioned in this text that except the Holy Spirit, no one can reveal the thoughts of God. So He holds a supreme knowledge about God which shows his personality. No pastor and no priest or no painter can portray God. Holy Spirit searches all things, even the deep things of God and He is the one who reveals them to us. Whom does He reveal? 1 Corinthians 12:11 ‘all these are the work of one and the same Spirit, and he gives them to each one, just as he determines.’ We must understand one thing today, that the Holy Spirit is not a power that we get hold of and use according to our will. He is looking for someone who is willing to receive Him and to be used according to His own perfect will. So God reveals through His Spirit only to those who will abide under the will of His Spirit. He wants to take possession in us; He wants to sit in us. Romans 8:27 ‘And he who searches our hearts knows the mind of the Spirit, because the Spirit intercedes for the saints in accordance with God’s will.’ This text tells about the mind of the Holy Spirit which tells us about his personality. How shall we know the will of God? The Spirit intercedes for us and reveals the will of God. What is the mind of Holy Spirit? Romans 15:30, ‘ I urge you, brothers, by our Lord Jesus Christ and by the love of the Spirit, to join me in my struggle by praying to God for me.’ We often pray and thank God the Father and His Son Jesus Christ, but do we thank Holy Spirit for His love and for leading us to the Savior and knowing His love? We must give same importance to Holy Spirit which we give to Father and Son. If anyone denies the Spirit, he denies the Father and Christ. Do not grieve the Holy Spirit: Ephesians 4:30, ‘And do not grieve the Holy Spirit of God, with whom you were sealed for the day of redemption.’ Here it says not to grieve the Holy Spirit. This is shows his personality, Do you know that every act against His will is grieving Him? Holy Spirit is not blind, He is a Holy person, He sees every act we perform, every word we speak and every thought we entertain. He is being grieved when we show our back to him, but He delivers those who give their ears to Him. Revelation 2:7, ‘ He, who has an ear, let him hear what the Spirit says to the churches. To him who overcomes, I will give the right to eat from the tree of life, which is in the paradise of God.’ God wants us to hear what the Spirit says. Do we hear what the Spirit says? Do we grieve the Holy Spirit? A Crying Holy Spirit: Galatians 4:6, ‘ And because ye are sons, God hath sent forth the Spirit of his Son into your hearts, crying, ‘Abba, Father.’ He is represented as crying out in the heart of the individual believer. He joins us with the Heavenly Father, and gives us the assurance of son ship. The position of a believer is indeed one of perfect security with these two Divine persons interceding for him. Holy Spirit testifies Jesus Christ: No one can draw Jesus Christ as sweet and deep as Holy Spirit does. John 15:26, “ but when the Helper comes, whom I shall send to you from the Father, the Spirit of truth who proceeds from the Father, He will testify of Me.” And when He testifies about Jesus to us, then it is our duty to testify the testimony of Jesus to others. Holy Spirit knows Jesus Christ more than anyone. He is not just a power, but He is a person. Holy Spirit is the Leader and Guide: During my visit to Germany, I needed someone to guide me because I was unaware of that place…Likewise we are unaware of Heavenly places. So we need a guide who will lead us. We have a perfect guide who will not just show the way but also leads us gently where God wants us to walk. Romans 8:14 says, ‘ because those who are led by the Spirit of God are sons of God.’ We see that Jesus was led by the Spirit to the wilderness but He returned with great power and strength. It doesn’t matter where you are sent. What matters is who is leading you! Holy Spirit holds Supreme authority over individuals and the Church: Acts 16:6-7 Paul and his companions travelled throughout the region of Phrygia and Galatia, having been kept by the Holy Spirit from preaching the word in the province of Asia. 7When they came to the border of Mysia, they tried to enter Bithynia, but the Spirit of Jesus would not allow them to.’ Here we see the authority of Holy Spirit which signifies His personality. And again in Acts 13:2, ‘ while they were worshiping the Lord and fasting, the Holy Spirit said, “Set apart for me Barnabas and Saul for the work to which I have called them.”’ It was not the apostles who have set apart the people for the ministry, but it was the Holy Spirit who has a supreme control over Church and the Ministry. Let us not only know the power of Holy Spirit, but also be aware of His Personality . Remember! Holy Spirit is not the One who comes when we are gathered but He is there within us.